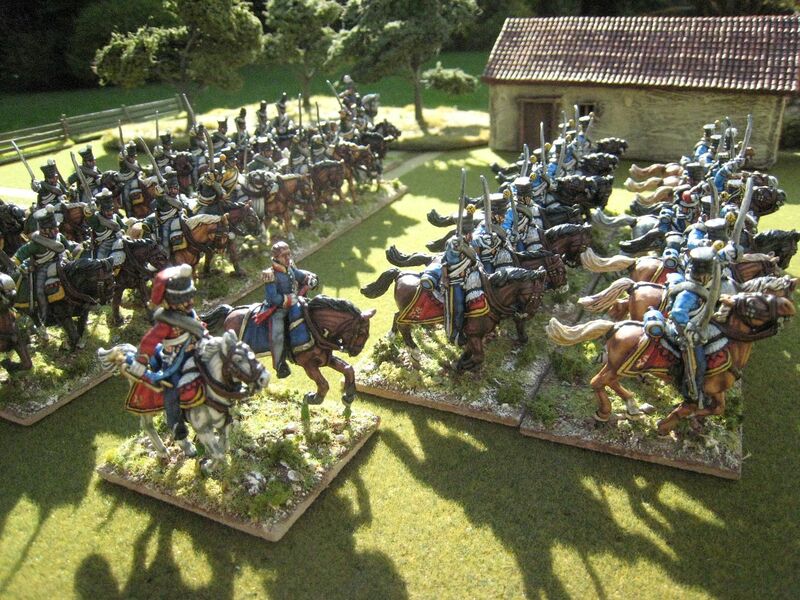 I still have a backlog of painted units but I wanted to jump ahead a bit to return to the AWI. 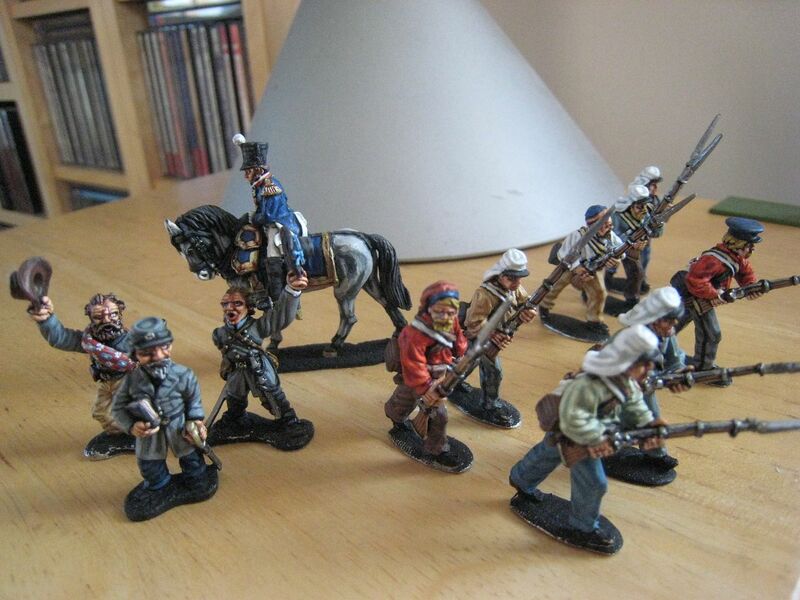 I was very excited when Eureka Miniatures announced their "ragged" Continental cavalry range, which I think was first released at the end of 2010. 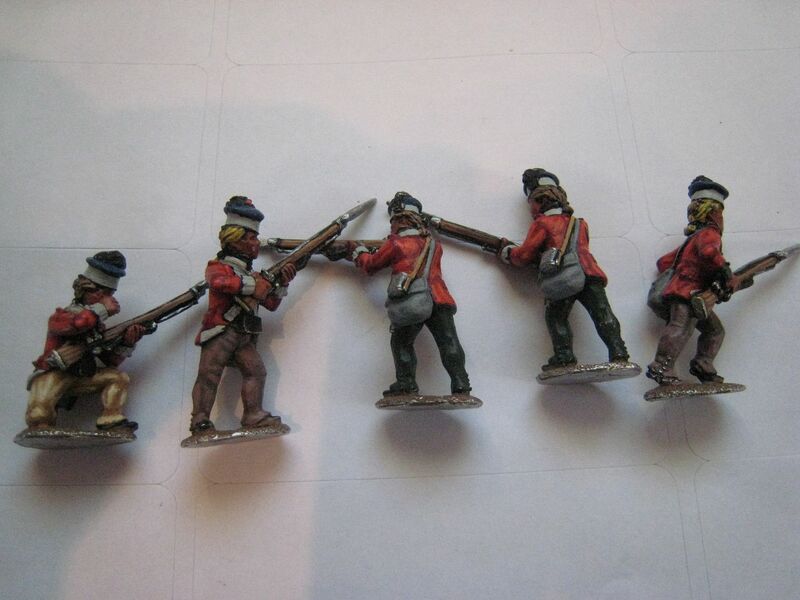 The range developed into both ragged and non-ragged figures, but the key feature was the array of different hats that could be placed on to the figures' bare heads. 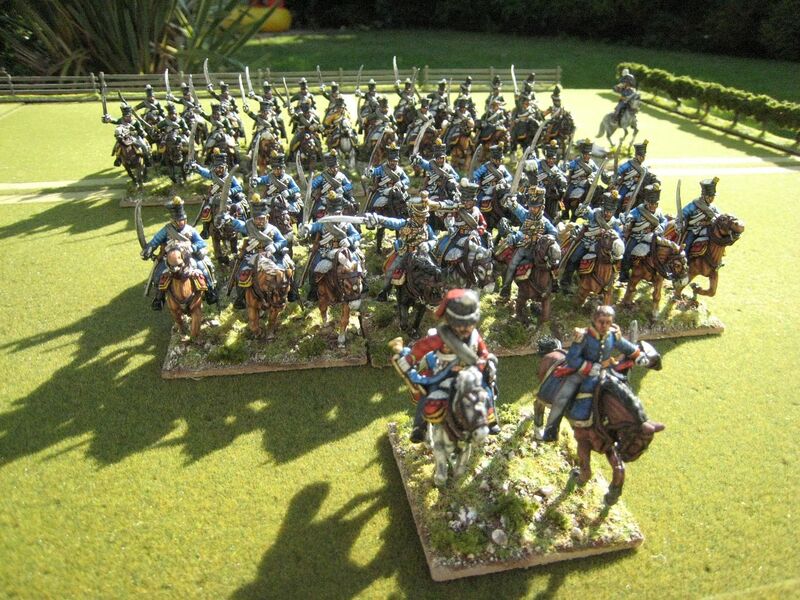 The only American cavalry available in the Foundry/Perry ranges are the Continental dragoon figures from Foundry (which I used for the 3rd Dragoons and intend to use again for the Philadelphia Light Horse). 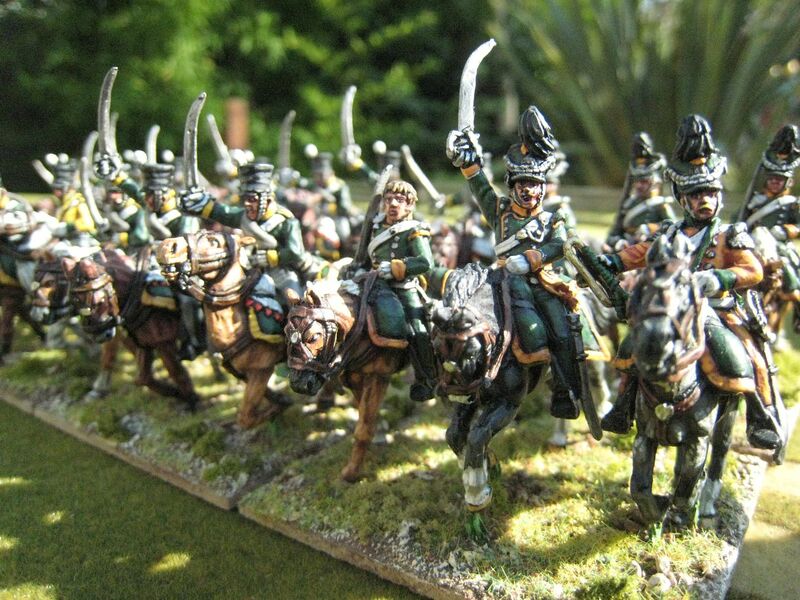 Those figures, however, have a crested helmet that is not suitable for various other cavalry units. Eureka's different hats address this problem. 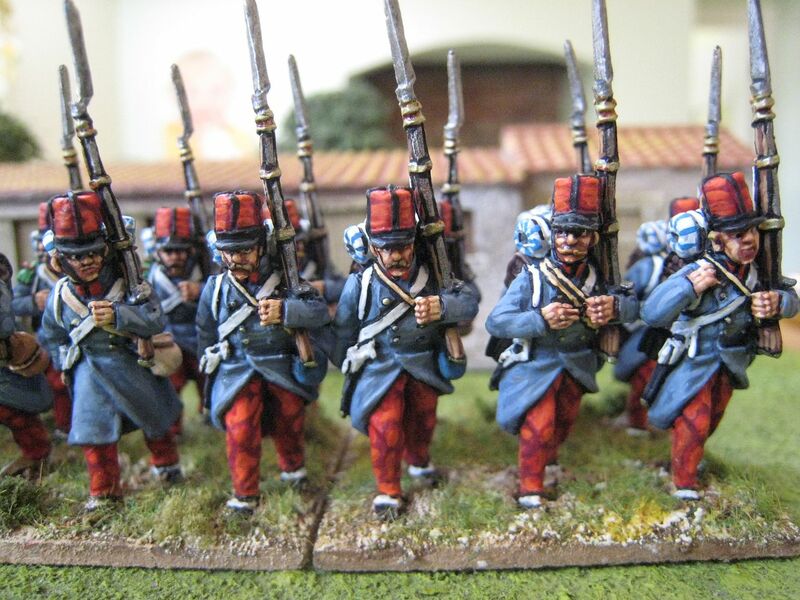 Armand's Legion was the first unit I painted and I'm rather ashamed that I have waited well over a year to paint up some more (I bought quite a few figures when in Melbourne last March and then picked up more at Salute this year). These two figures represent von Heer's provosts. This corps was formed in summer 1775, following a petition to Congress by George Washington for the appointment of a Provost Marshal. Shortly afterwards, Congress adopted formal Articles of War which set out the rules of behaviour that the new Continental Army was to follow. 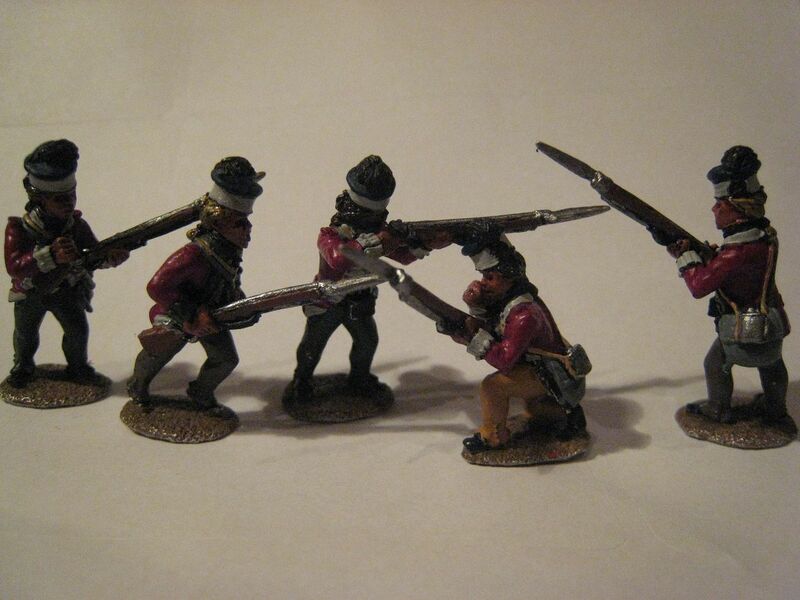 Men were recruited to assist the Provost Marshal in the enforcement of these Articles. It appears that most of the recruits were Pennsylvanian Germans. A permanent Provost Corps was formed in May 1778, and Bartholomew von Heer, another Pennsylvanian, was appointed to its command. 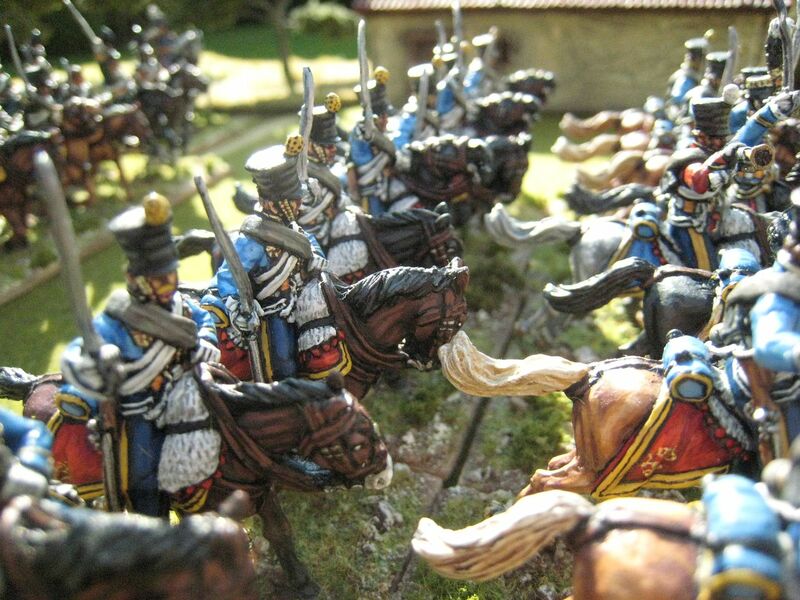 Von Heer had soldiered in the Prussian, French and Spanish armies and had petitioned Washington for the position. In addition to enforcing discipline in the army and apprehending drunks and deserters, the Provost Corps acted as escorts and honour guards. The unit's strength seems to have been between 60 and 80 men. Sources refer to dark blue coats with yellow facings. 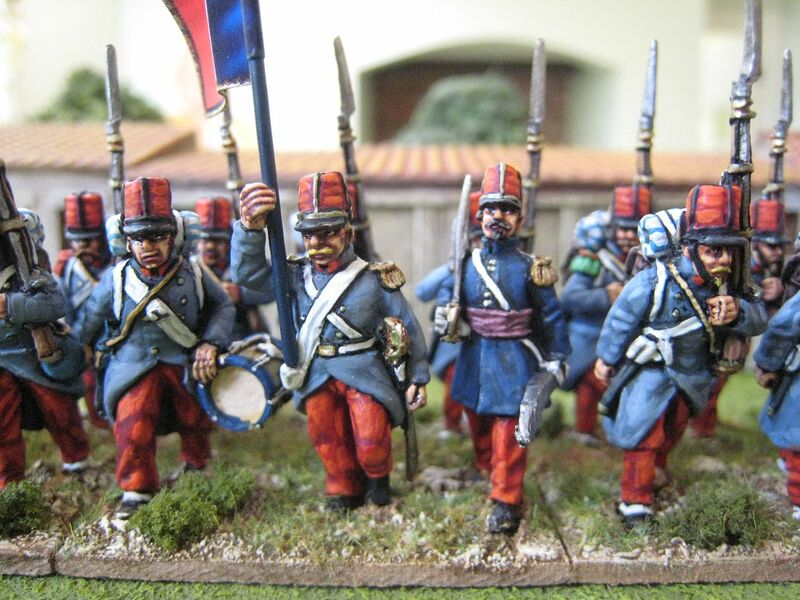 There is some divergence as to hats: crested helmets are mentioned as well as tricornes. This might perhaps reflect clothing worn at different times depending on the nature of the provosts' duties. 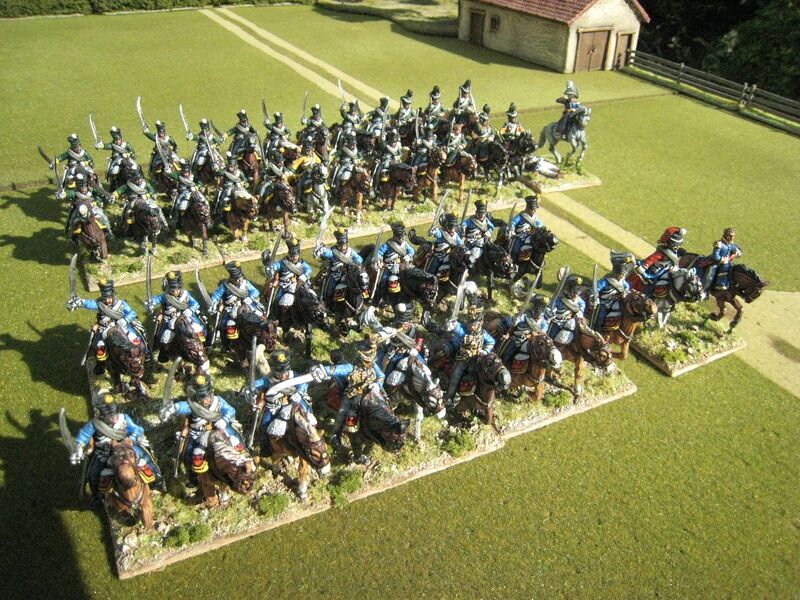 For example, I can imagine that when guarding Washington's headquarters the provosts may have worn smart dragoon helmets. However, when out on picket duty in the field perhaps a softer hat may have been more practical. The tricorne is shown in Uniformology's book on American Cavalry and that is the look I have gone for here. 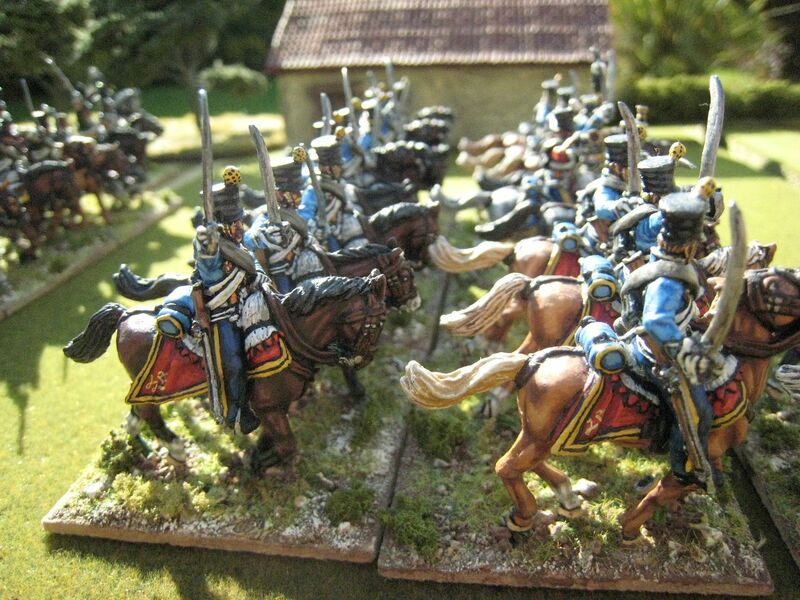 A nice couple of figures to have floating around the rear of an American position. 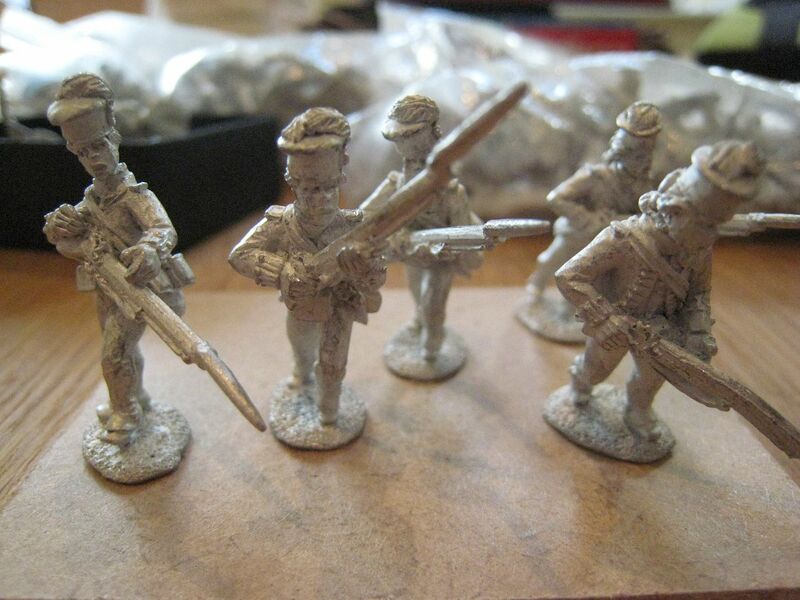 I am currently basing a unit of South Carolina militia cavalry that really show the variety afforded by these excellent Eureka figures. 2 figures. Painted October 2012. Britain, France and Portugal all provided troops to assist the Isabellino government. In the case of Britain, such assistance was predominantly in the form of the granting of permission for Spain to recruit British and Irish citizens to form the British Auxiliary Legion. Very few professionals from the British armed forces were permitted to participate in the war. 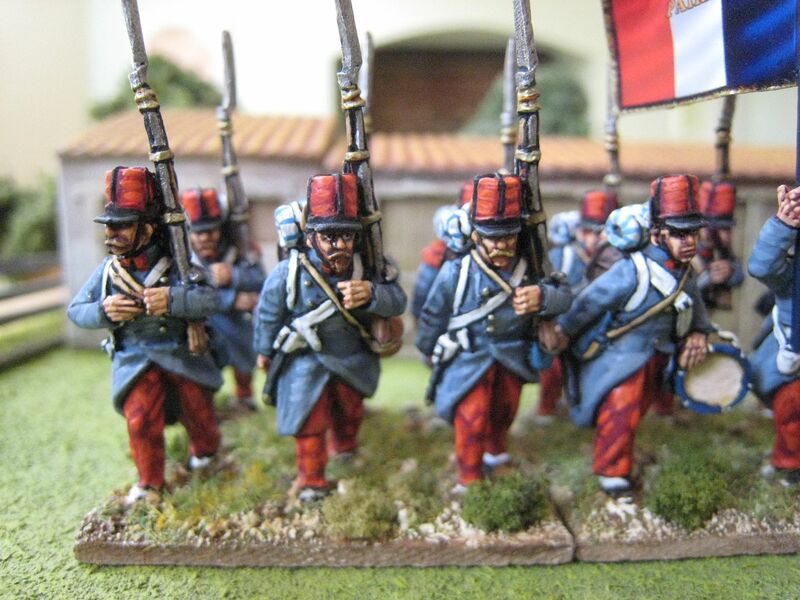 France, on the other hand, saw a cheap and easy way to assist the Spanish government at little risk to its own citizens - it decided to transfer to Spain the newly-formed Foreign Legion. The FFL was formed in March 1831, apparently as a form of immigration control; foreign nationals with military experience were languishing in Paris with little to do, and allowing them to join the French army was a way of ensuring they didn't spend their time formenting dissent against the government. 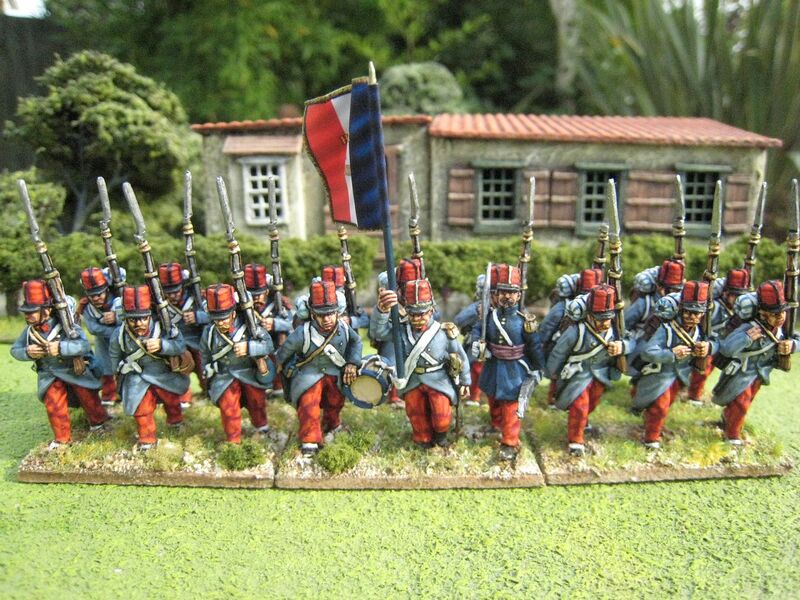 A second advantage was having a corps that could be deployed to those parts of the French empire that were unpopular postings with the regular army. 7 battalions were formed initially, with each battalion comprising men from a particular nationality or linguistic group. Soon after its formation, the FFL was sent to Algeria to assist the consolidation of coastal territory occupied by the French. 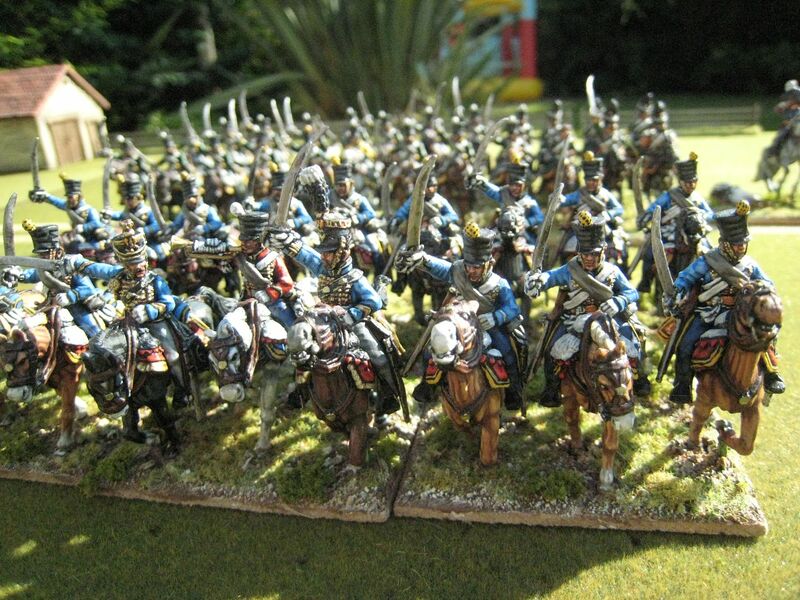 In 1835 it was sent to Spain, arriving in Catalonia in August with a strength of some 4,000 men. Its commander, Colonel Joseph Bernelle, abolished the separation of troops by nationality and reorganised the corps into 5 battalions. 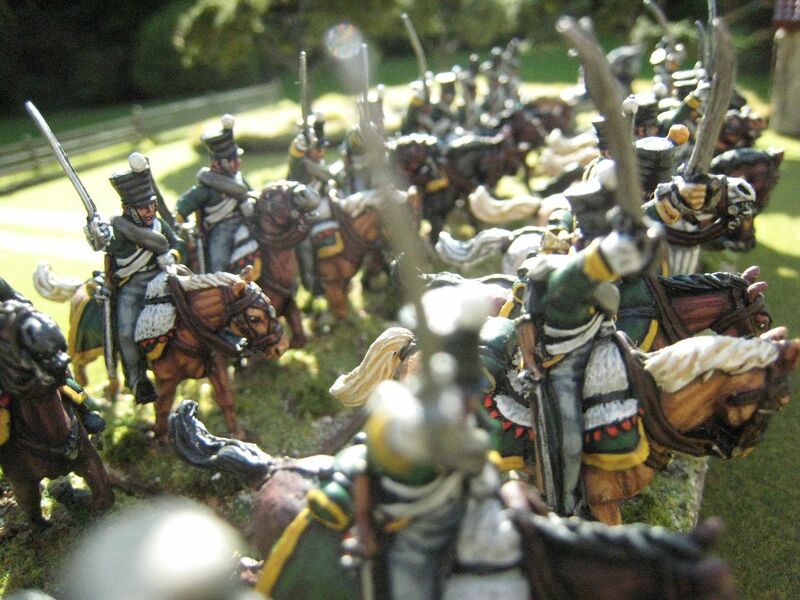 The legion went straight into action in northern Spain, fighting various small actions and no doubt fending off guerrillas in what was very much pro-Carlist territory. The Carlist took great exception to "foreign mercenaries" waging war on behalf of the government and captured legionnaires and BAL soldiers were routinely executed. 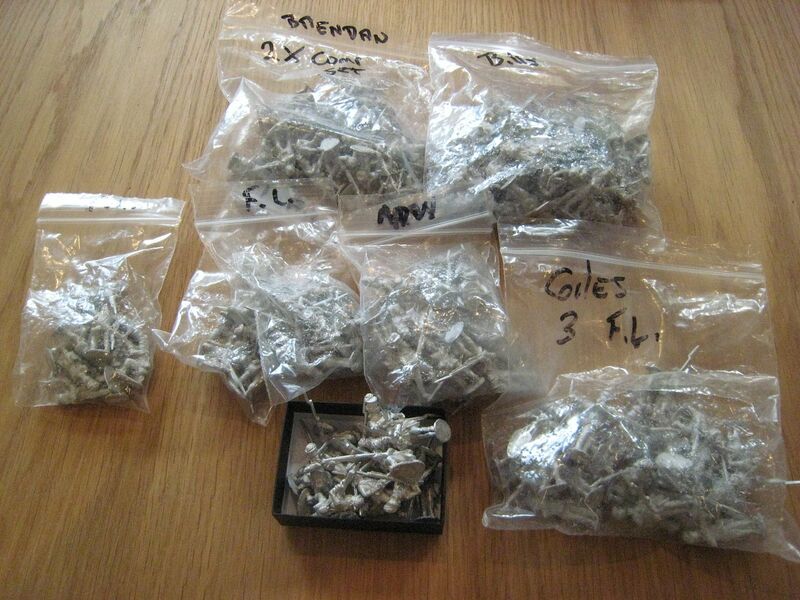 It appears that the legionnaires responded in kind, looting and pillaging their way around the coutryside. I won't go into the full campaign exploits of the FFL, but will do so in a later post. There is an excellent year by year summary of the FFL's involvement on the "Toc de somatent!" blog here. Suffice to say for now that the FFL was virtually destroyed in the war, with barely 500 men of the original 4,000 making it back to France. 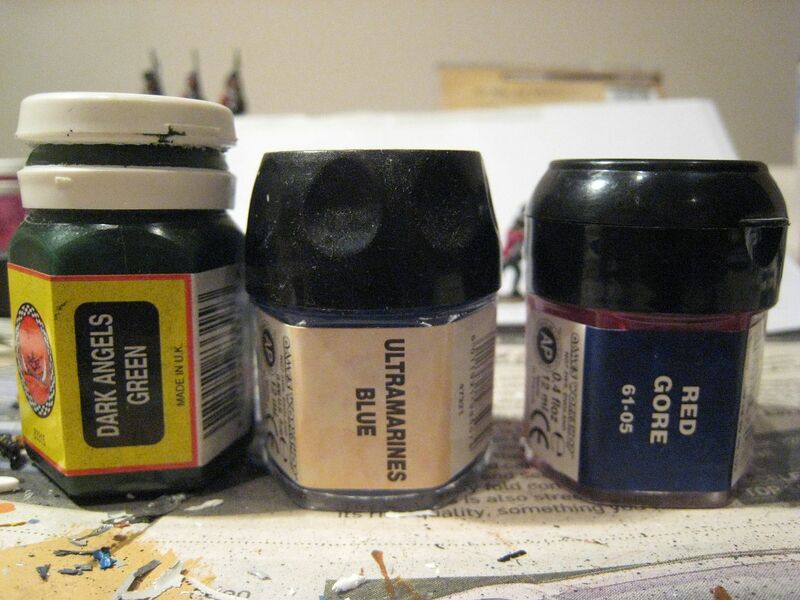 A couple of painting notes. 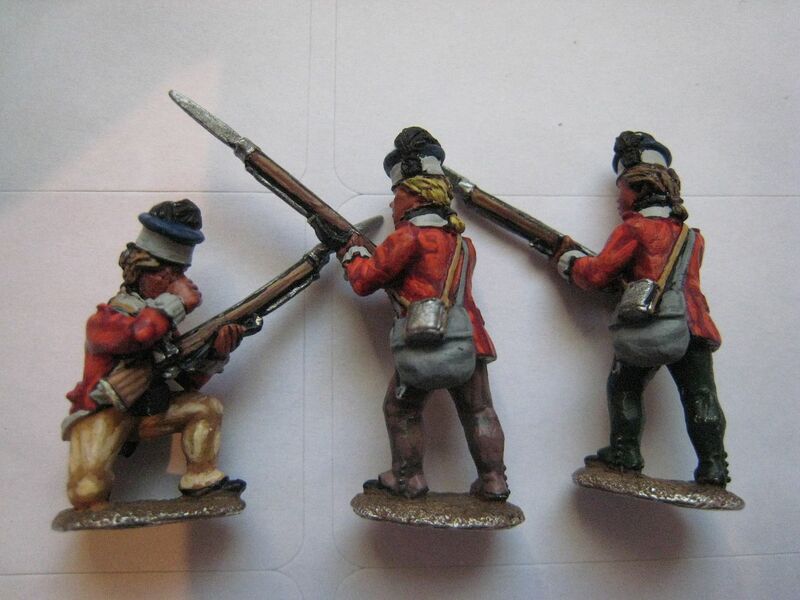 I wanted the greatcoats to be a different colour to those of the Carlists and Isabelino regulars, a grey with a blue-ish tinge. I used the Foundry "Confederate Grey 117" palette, which I think did the job pretty well. 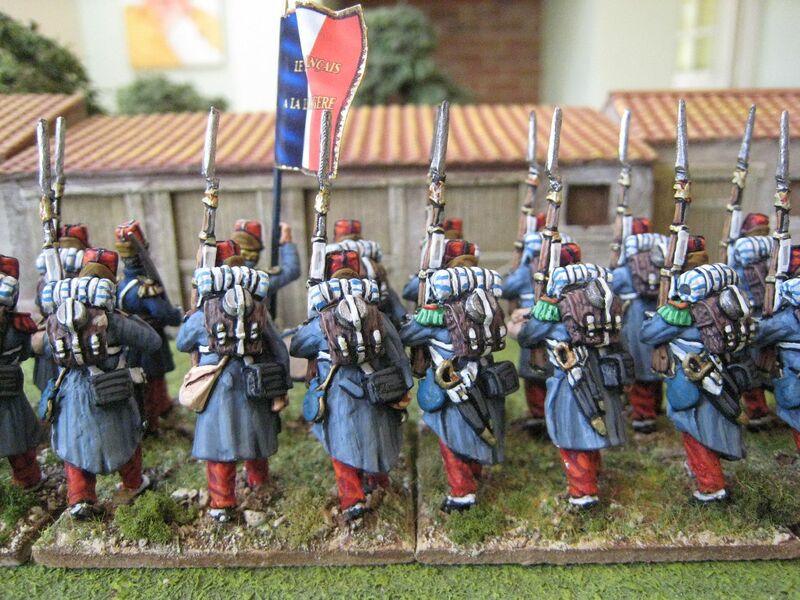 The officers' dark blue tunics were painted with Foundry's "French Blue 65" palette, with an extra highlight of "Deep Blue 20B" (this is the recipe I now use for French Napoleonic light infantry and artillerymen, i.e. figures all dressed in blue). 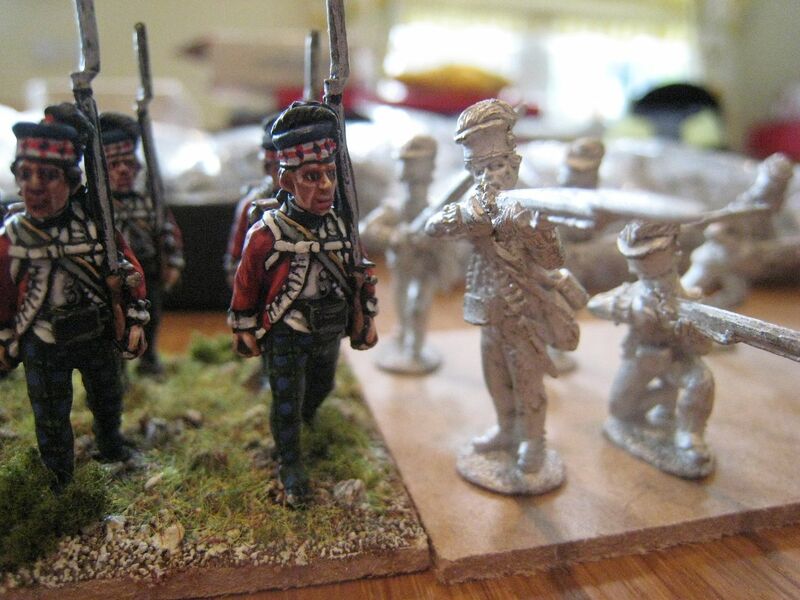 I am planning to do 3 or 4 battalions in all, each of 24 figures. 24 figures. Painted July-August 2012. Flag by Adolfo Ramos.